So… I went shopping. Online shopping. I check the site Ebates and find out what store is offering the greater percentage in cash back, and go from there. So, Saks Fifth Avenue had 10% back in cash back- awesome! They also had an amazing gift with purchase. What I discovered about Saks Fifth Avenue’s site is you can use multiple coupon codes on a single purchase- score! 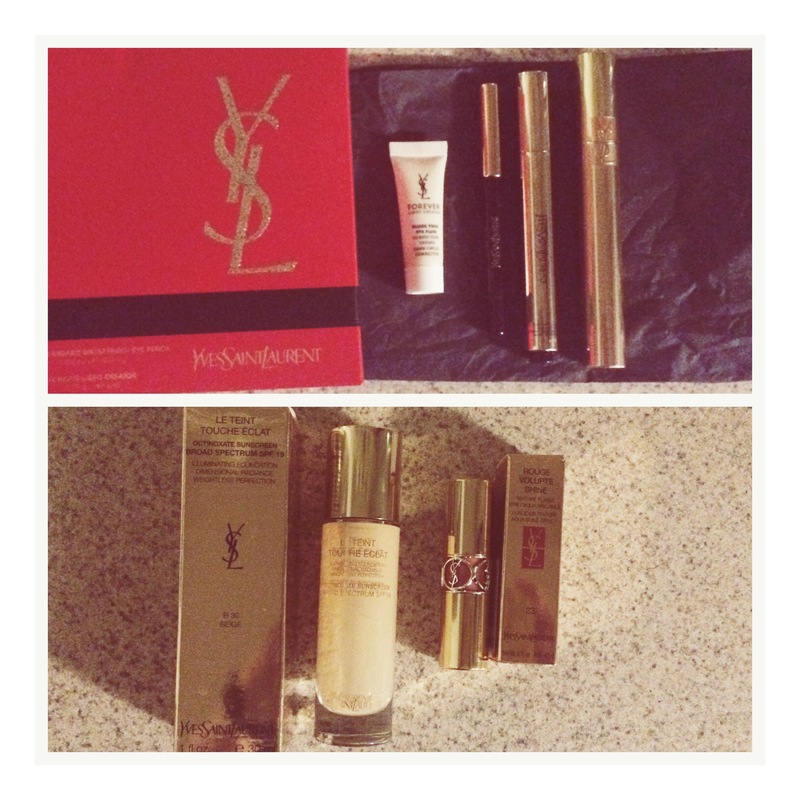 So, I got 10% off entire purchase, a YSL gift with purchase, the Saks gift with purchase, and free shipping! Amazing right? That’s not including my 10% cash back for using Ebates! Okay. Well, I grabbed some goodies. And will review ASAP! For now loves, check out Ebates!